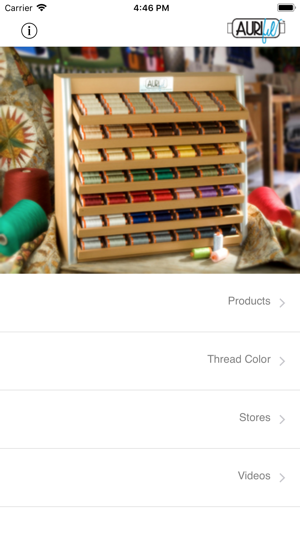 There's also a "Thread Color" section to showcase Aurifil threads and stash away your favorite thread colors. 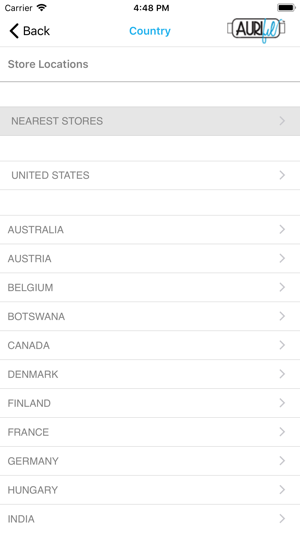 The main area is the Store Locator. 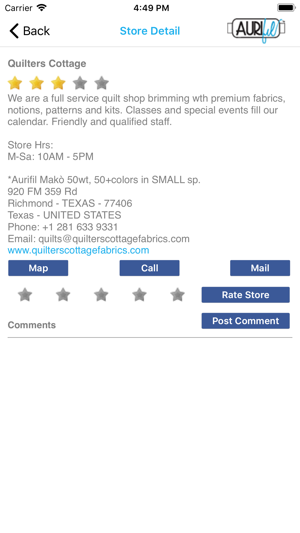 It's the first one listing all the quilt shops for all users of mobile devices, which enables to find the nearest store and they way to get there. 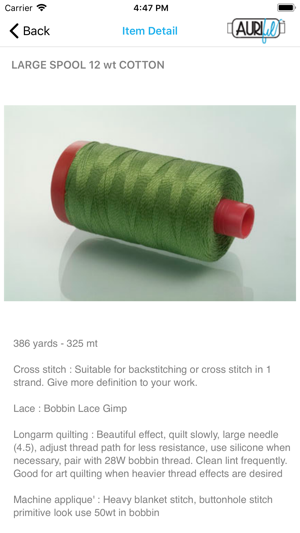 With the help of Google Map, it's often possible to see the shop window and each quilter can leave a comment about the shop itself, rate it and get all contact details (phone, e-mail and website). 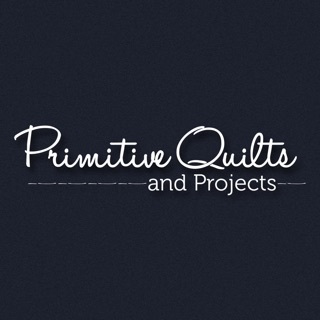 With regards to shop owners, to get FREE enrollment the only requirement is selling Aurifil threads! Inside the shop main page, the shop owners can also provide a short description of their business. I so agree with other reviewers that the thread colors need to be listed by number, both in the Thread Color list and the Stashed list. There are so many colors that it takes forever to find what you're looking for, rendering the app ineffective. This could really be a useful app if it had some organization. 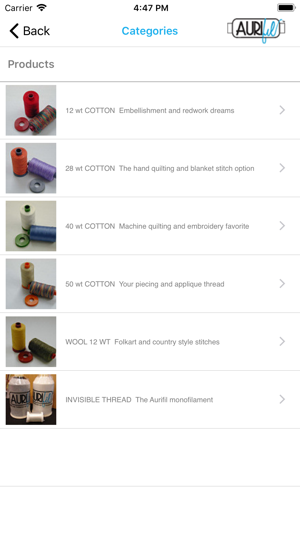 PLEASE list the thread colors in numerical order on the product page. It's non-productive to have to sort through EVERY item to try to find the colors I'm trying to add to my 'stash' list. Otherwise, this would definitely be a five star app. Has new feature to pick the colors you own, but needs ability to sort or search the list to be really useful. I’m not sure what order the colors are displayed in.